The Fundamentals of HVAC Direct Digital Control, written by Frank Shadpour, PE, ASHRAE Fellow, provides a simple approach to designing and understanding Heating, Ventilating, and Air-Conditioning (HVAC) Direct Digital Control (DDC) systems. Used as a course textbook at colleges and universities across the country, the book is designed to take the mystery out of HVAC DDC. It enables the reader to design and understand various types of control solutions for most commonly used HVAC systems and clearly addresses the networking of DDC systems. It also reviews open DDC systems that allow for future expansion and interoperability. 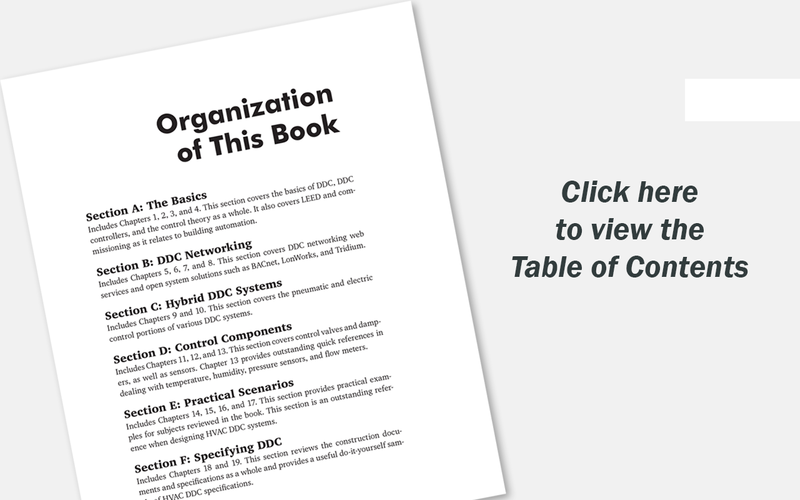 The book is designed to be a textbook as well as a reference and fundamental book for HVAC designers and engineers, facility, engineers, or anyone involved with state-of-the-art HVAC DDC. It is also highly recommended for those taking the mechanical professional engineering examination. 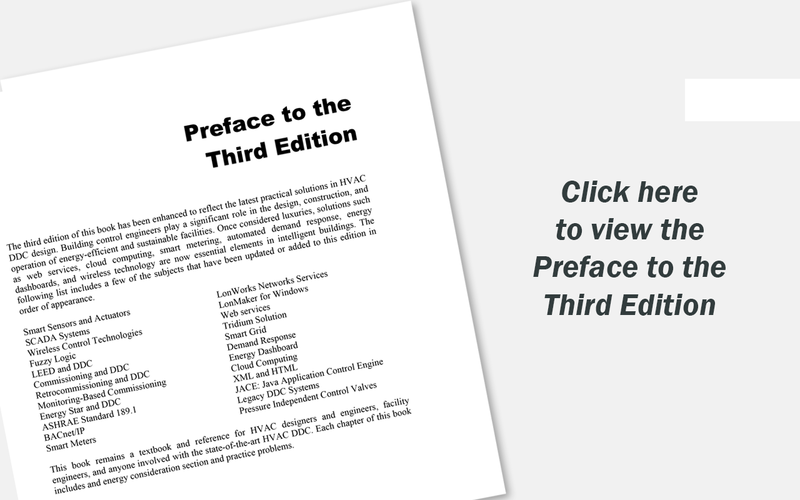 This book emphasizes critical do's and don'ts as well as the accepted rule-of-thumb checks in HVAC control design. 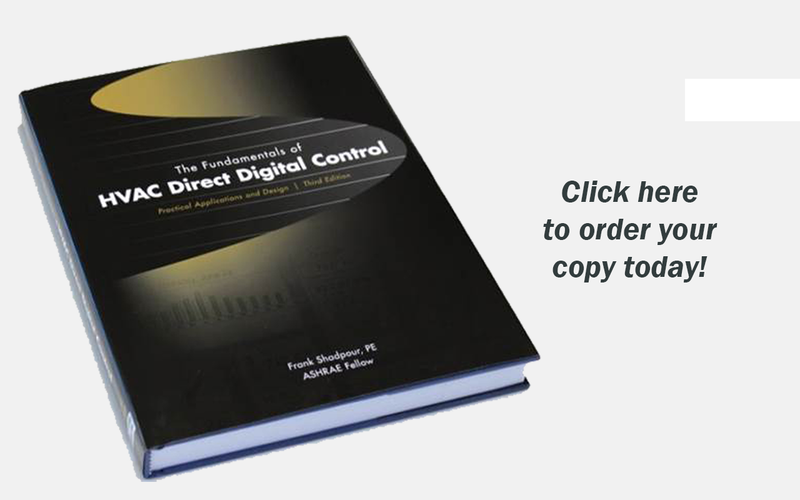 Newly expanded and revised, The Fundamentals of Direct Digital Control, Third Edition contains detailed information on the most common HVAC DDC technologies, components, and systems.